This 5 star Dylan Hotel in Dublin 4 Ireland is guaranteed to make your stay unique and memorable by the services and amenities boldly demonstrates. 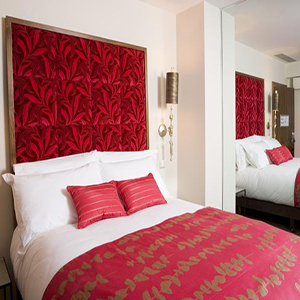 The Dylan Boutique Hotel is an ultra-chic 5 star hotel which is located in one of Dublin's most prestigious area between city centre and Ballsbridge, Dublin 4 Ireland. It is a destination for the endless array of fashion, leisure, business and described as one of the best boutique hotels in Dublin. Dylan hotel offers 44 luxury rooms include free WiFi, Bose iPod docks and flat-screen TVs, guests can enjoy an in-room movie menu, in addition to high-end linens, work desks and laptop safes. The rooms come with bottled water, minibars and iPods loaded with city walking tours. This 5 star luxury hotel boasts an intimate dining place, Tavern restaurant. This beautiful and relaxing restaurant is a great choice for a casual lunch, client events, a romantic evening meal, or as part of guest's package whilst staying in Dylan hotel. Also the hotel features TERRACE DINING where menu is served daily from 3pm. Guests enjoy a relaxed Al fresco dining experience from the selection of sharing plates and light summer dishes in the heated Mediterranean style terrace. 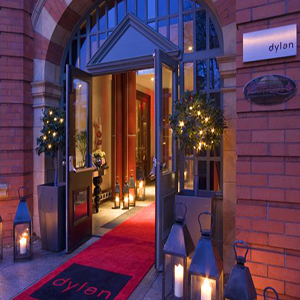 The luxurious Dylan hotel boasts the popular Dylan Bar which is adjacent to Tavern restaurant.  It is great for pre or post event drinks, which means everything takes place all under the one roof giving your occasion the perfect seamless experience. At night the heated terrace is transformed into a haven of candle light where guests enjoy their drinks and music. The hotel is ideally located in Dublin city centre with close proximity within city's major music venues such as 3Arena, Bord Gáis Theatre, Olympia Theatre and many more. The Dylan terrace features 2 flat screen TV's providing the perfect place to watch sporting events. The hotel is located just a 10-minute walk from two of Dublin's major sporting venue, the RDS and the Aviva Stadium.